From left, Jefferson City Mayor Eric Struemph, Chamber of Commerce CEO/President Randy Allen, SOMO athlete Derek Sandbothe, SOMO Board Chairman Dr. Phil Cook and SOMO CEO/President Mark Musso all pose for a photo following the announcement Jan. 20. 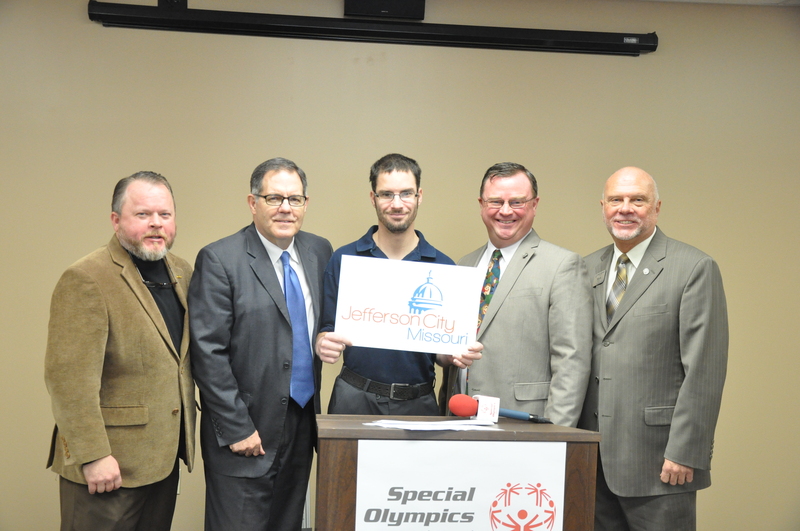 Jefferson City Mayor Eric J. Struemph said, “We are very pleased and excited Special Olympics Missouri has selected Jefferson City as its new location for the Training for Life Campus. This project has truly been a great partnership between many entities all working together toward a great project that will have a big impact on our community. The cooperation between the City of Jefferson, Cole County, Jefferson City Convention and Visitors Bureau, Jefferson City Area Chamber of Commerce, developers, healthcare providers and business leaders all coming together to bring resources and support makes this project a great win for the Jefferson City area and Special Olympics Missouri.” When finding out Jefferson City won the bid, Columbia City Manager Mike Matthes said, “There is very little in life as inspiring and joyful as Special Olympics. We are disappointed not to play host to Special Olympics Missouri to be sure, but certainly happy for our friends in Jefferson City as we know how lucky they are to get this wonderful organization.” “We are disappointed that Columbia wasn’t chosen,” said Mike Griggs, director of Columbia Parks and Recreation. “We feel that Columbia presented an excellent option and we’re proud of the work that was done by everyone who assisted with this proposal. The Columbia Parks and Recreation will continue to be a strong and supportive partner for Special Olympics Missouri and look forward to hosting some of their larger events.” Despite Columbia not winning the bid, SOMO President and CEO Mark Musso said he is confident the Columbia program will continue to “be one of the strongest in the state” thanks in large part to the partnership with Columbia Parks and Recreation. “SOMO continues to host area competitions in Columbia and has enjoyed a long history of successful games there at the area, regional and state level,” Musso said. 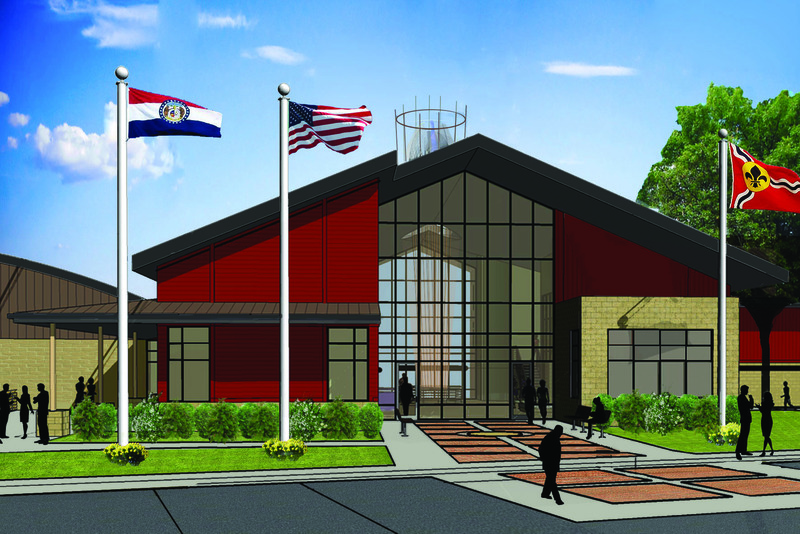 “Columbia Parks and Rec’s facilities will continue to be utilized by the local program and SOMO will strongly consider the return of regional and state games to Columbia with the additional Parks and Rec facilities in Phillips Park and Gans Creek Recreation Area.” The site for the TLC will be located at the northeast corner of U.S. Highway 54 and Missouri Highway 179. It will be the first facility of its kind in the world built for the sole purpose of improving the lives of people with intellectual disabilities. 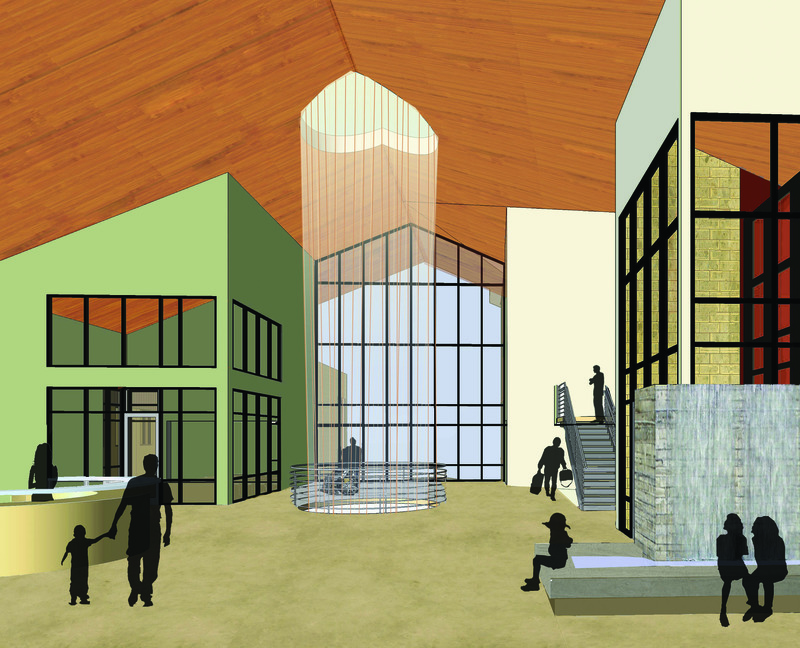 The current capital campaign for the TLC is well on its way to raising the $12.5 million needed to build the facility. The SOMO Board of Directors has said from the beginning that construction on the campus will not begin until the full $12.5 million has been raised. Currently the campaign is more than half way to that goal with the expectation to reach the final goal in 2016 and commence construction thereafter. With the additional 4-plus acres (compared to the 11.2 acres previously purchased by SOMO south of Columbia on U.S. Highway 63) it will now allow the construction of a full softball field instead of just a softball infield as previously discussed. It will also now have enough space for a walking trail on the outer edge of the campus. 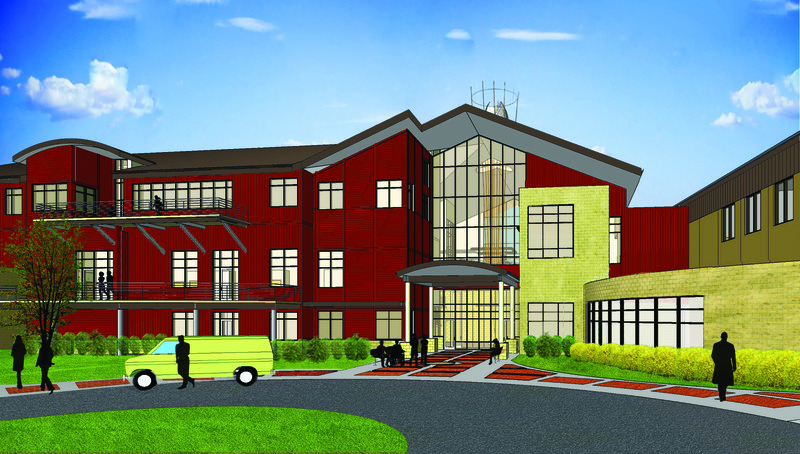 Staffing for the new building is expected to grow from 15 people currently to 30. 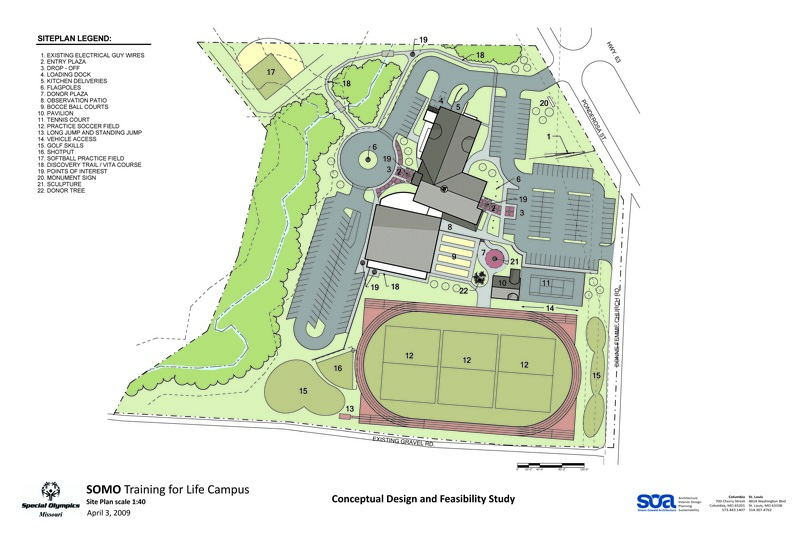 This is a rough sketch of what the Training for Life Campus COULD look like. Athletes will have their own entrance into the building. There aren’t any perfect people in this world, but talk to some of Seth Dye’s coaches in Carthage and they’d tell anybody willing to listen that Dye comes pretty close to being the perfect SOMO athlete. 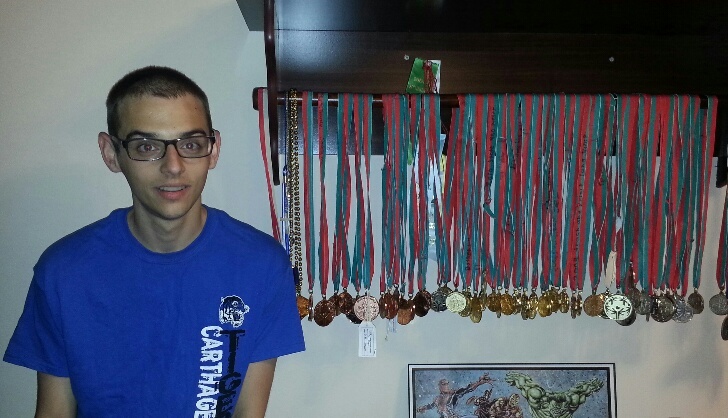 Seth Dye, 19, poses in front of his many medals earned from competing in Special Olympics Missouri events over the years. Melissa Reese, Dye’s mother, said he has grown so much over the years, but it hasn’t always been easy. 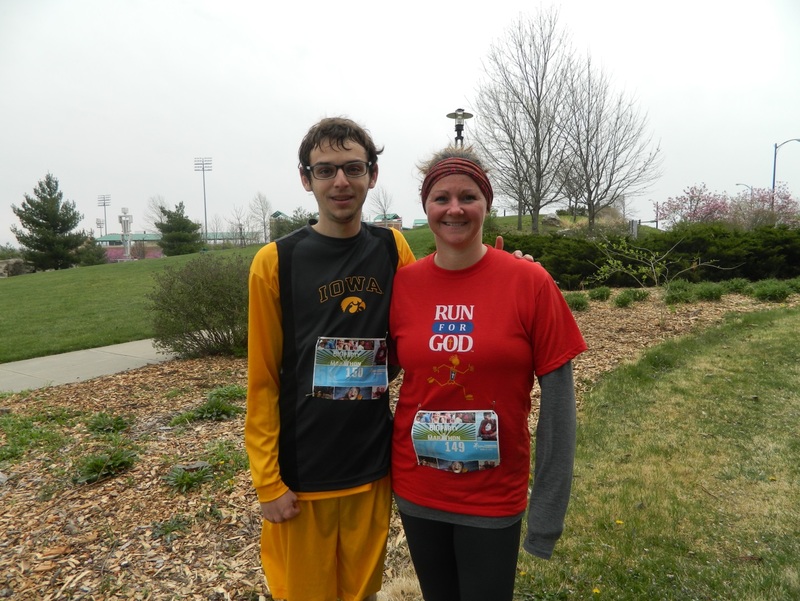 That’s where the Special Olympics program really helped change things for Reese and her son. “But the second half has been a whole other story. … Special Olympics has taught him some amazing things… understanding autism and having a great doctor has made a huge impact. Seth has grown to (a degree) understand himself and how he is feeling,” Reese said. Dye and his fellow Carthage basketball teammates pose for a photo at a SOMO basketball tournament. Dye, who graduated from Carthage High School in 2013, said while he participates in bowling and track and field, basketball is his favorite SOMO sport. “My favorite part about SOMO is the medals and friends,” Dye said. 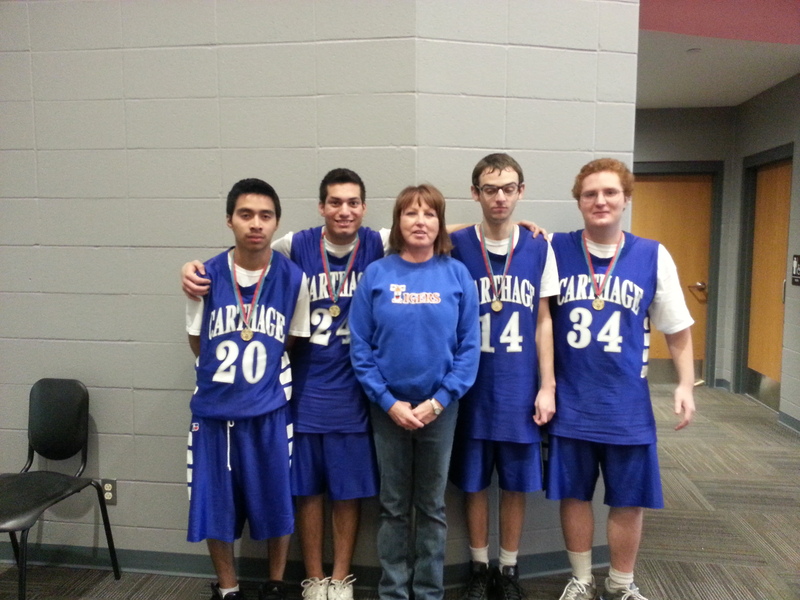 Dye still competes with his fellow Carthage High School students at Special Olympics Missouri events. Southwest Area Program Coordinator Stevie Lain said she wanted to highlight Dye not just because of his involvement with SOMO, but his push to help other people as well. He recently ran in the Camp Barnabas Big Party Half Marathon and 5k, which raised money and awareness for people with disabilities. Dye finished 7th in his age group of 19 and under and 77th out of 167 total runners. Dye poses for a photo after competing in the local Camp Barnabas Big Party Half Marathon and 5k, which raised money and awareness for people with disabilities. For Reese, it all comes back to how SOMO has played an integral role in shaping her son’s life since his involvement began.